Don’t call that garage door repair service yet, do some troubleshooting first using our easy DIY tips to solve minor faulty garage door problems yourself. Your garage door is an integral working part of your house that becomes a huge inconvenience when the door breaks down suddenly. So what do you do when you’re stuck having to deal with a garage door that’s acting up. Most people will want to troubleshoot a few things first before calling a professional to come out and take a look. There’s nothing more embarrassing or needlessly costly than having a service technician come all the way out to your home and find a simple solution to a problem that you could have done yourself. To save you that grief, and the potential expense, we have compiled some basic quick and easy troubleshooting tips to investigate on your own before having to take the step of hiring a professional garage door technician. Last year, we had to deal with a faulty garage door issue ourselves. We just finished installing custom cabinets in our garage when all of a sudden, we heard a loud bang and popping noise. I knew immediately what that sound was. We didn’t know what the signs were prior to our garage door’s springs breaking and, if we had taken the time to do the occasional spot check, we might have avoided the expensive repairs beforehand. Here are 5 quick ways to troubleshoot a faulty garage door and avoid an expensive catastrophe! This issue seems to be a common one and one we’ve had to deal with as well. The first thing you need to check when your garage door does nothing when you try to activate it is to see if the transmitter-receiver on the wall of your garage works when you push the activation button on it. If the door opens when you do this, it means the batteries may be dead in your remote and merely need to be replaced. If changing the remote batteries didn’t solve your problem, then the next step will be to check the “eye” on the remote and the signal receiver antenna of the opener. Remote Frequencies: Garage door remotes and opener units use frequencies to transmit and receive their signals. 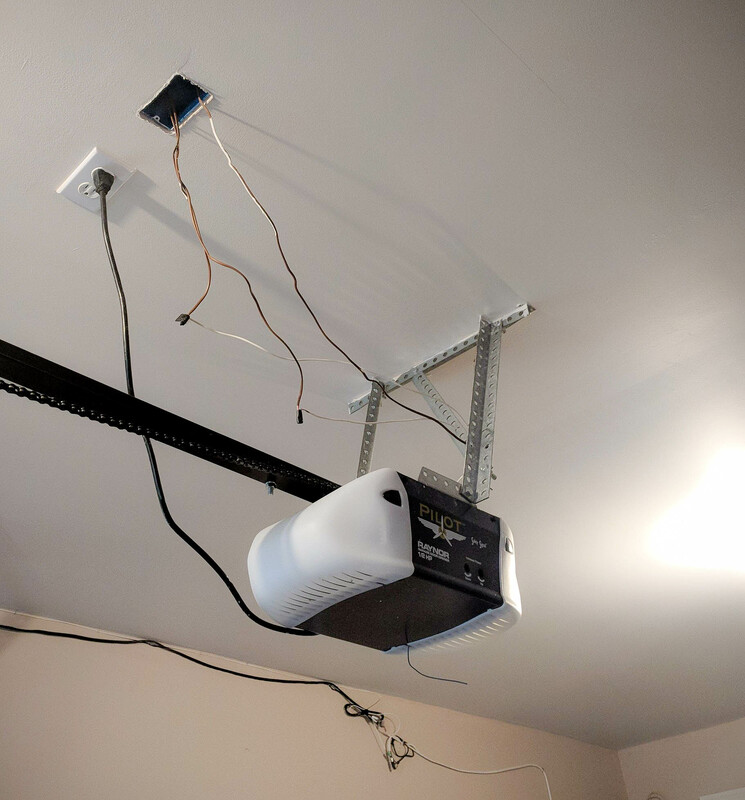 If you’re using a remote control garage door opener with fresh batteries and you’re within the required range needed to activate your door, and it still doesn’t work, you then need to make sure that all the components involved in the transmitting and receiving process is working correctly. Make sure that dirty equipment isn’t keeping the remote’s frequency from being transmitted. 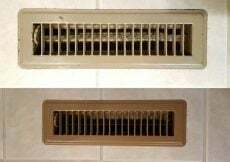 You can imagine how much dirtier your garage gets than the rest of your house, so this is a frequent problem that’s easily remedied. Just clean the remote. Antennas that receive remote signals need to also be clear from obstacles that might be blocking them. If the signal is being blocked, your garage door will either work intermittently or not open or close at all. If the antenna doesn’t have any obstructions between it and the remote controller, but the door still does not work, then look for visible damage signs to the actual receiver antenna. Checking the Disconnect Switch: A garage door has a disconnect switch that generally has a rope activator attached to it or some knob or switch that disconnects the garage door motor so the door will not activate. 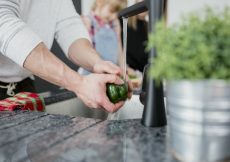 With all the daily hustle and bustle that goes on in your garage, it’s easy to hit the disconnect switch without knowing it accidentally. If your garage door is opening and closing on its own, then don’t blame it on ghosts. Competing neighboring garage doors which are on the same frequencies can cause this unnerving event to happen. Each remote model may have a different protocol in its service manual for changing the remote frequency. 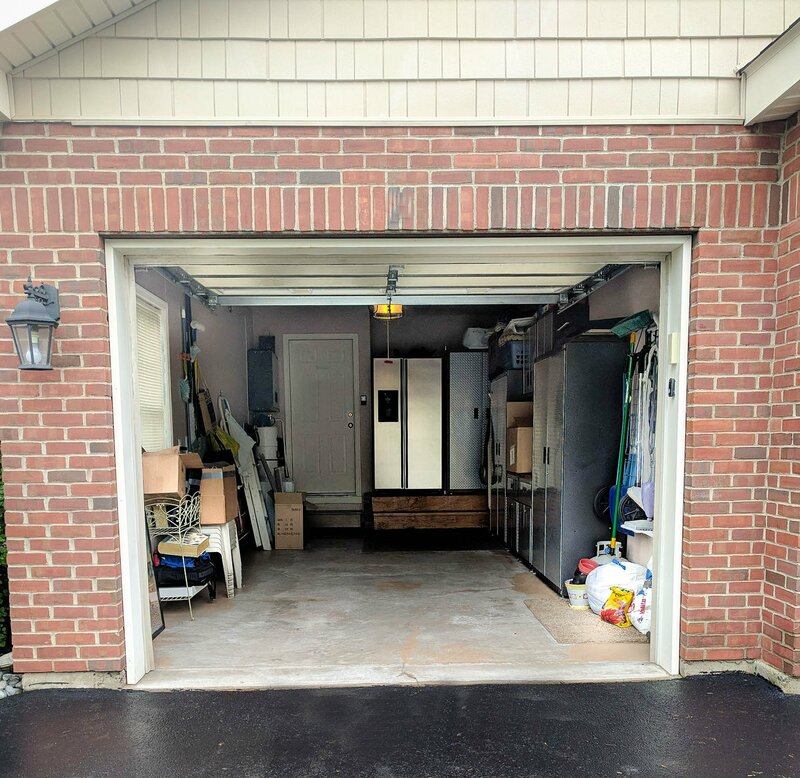 If the garage door opens as usual but refuses to close, this is usually a sign of track obstructions that activate the door’s safety feature, or it could be a sign of dirty photo-eyes that are part of the safety feature that keeps the garage door from closing on an object or a person. These photo eyes are located on each side of the garage door and are sensors that detect anything that crosses the sensor beam’s path. Dust and dirt can accumulate fast in a garage, so these sensors need to be kept clean to function properly. 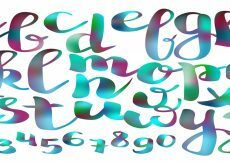 They also get knocked out of alignment as well and need to be realigned. 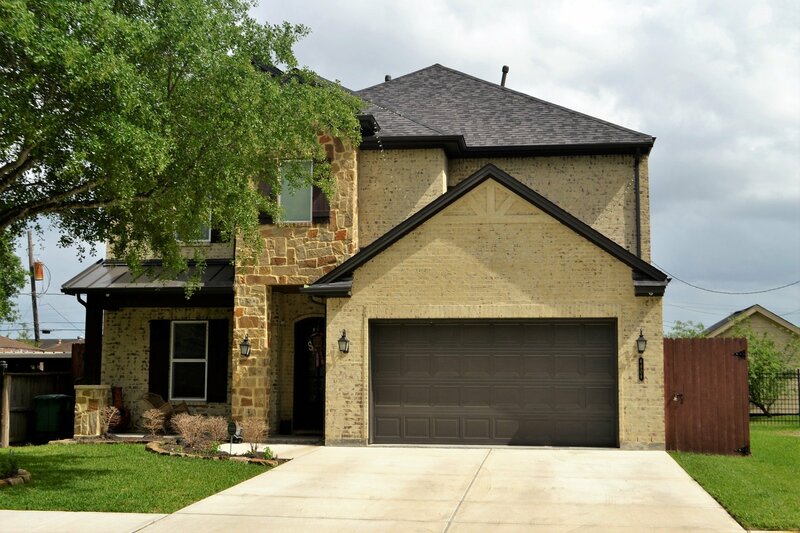 We installed a Wireless Keyless Entry Garage Door System a few years ago and we love it. It’s a great way to have a backup way to open and close your garage door. The safety mechanism on a garage door is designed to reverse itself if it comes in contact with an obstruction. Many different things can trigger the safety device. The obvious example of an obstacle could be something left in its path. A not so apparent obstruction can be something stuck in the tracking brackets like a rock or other small object that is stopping the rollers from closing correctly and then triggering the door to reverse itself. Even small objects in the tracking brackets can cause the safety mechanism to engage. 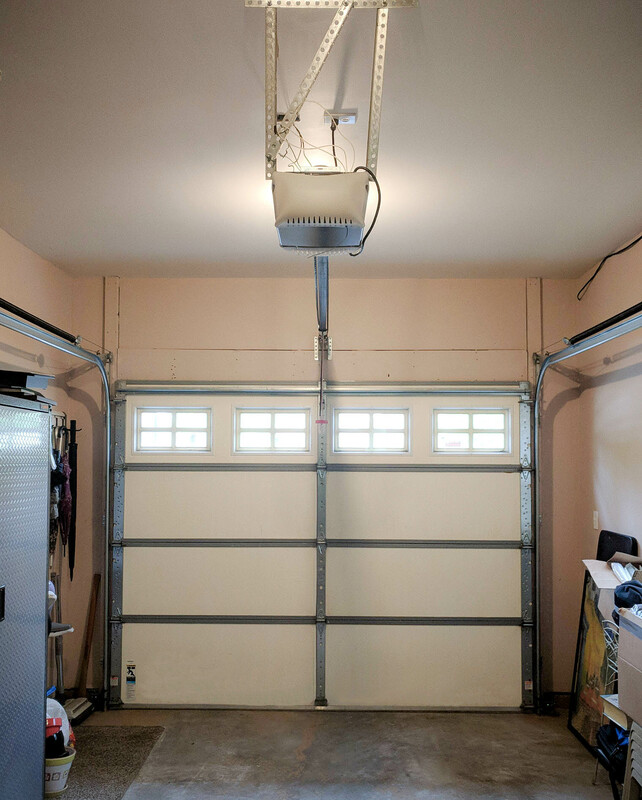 If there are no visible obstructions that could be blocking the garage door from closing, then it’s worth trying resetting the opening and closing limits on the garage door opener. The service manual for your specific model of garage door will have the instructions for resetting the standard limits. A door that is off of its alignment can be a very hazardous thing. 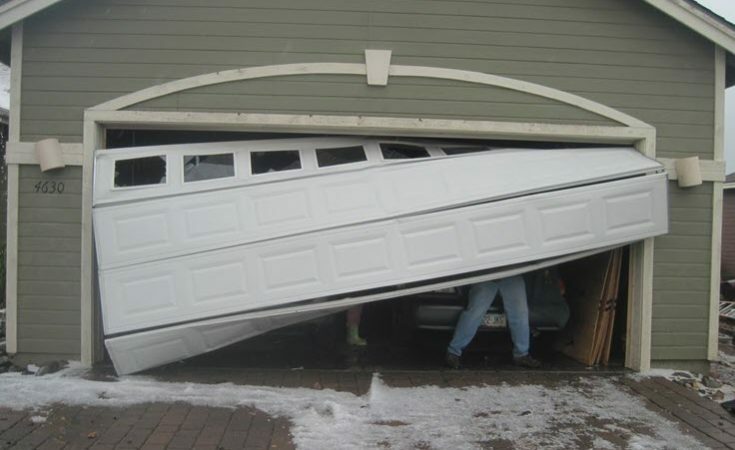 This type of faulty garage door is not something you should ignore. 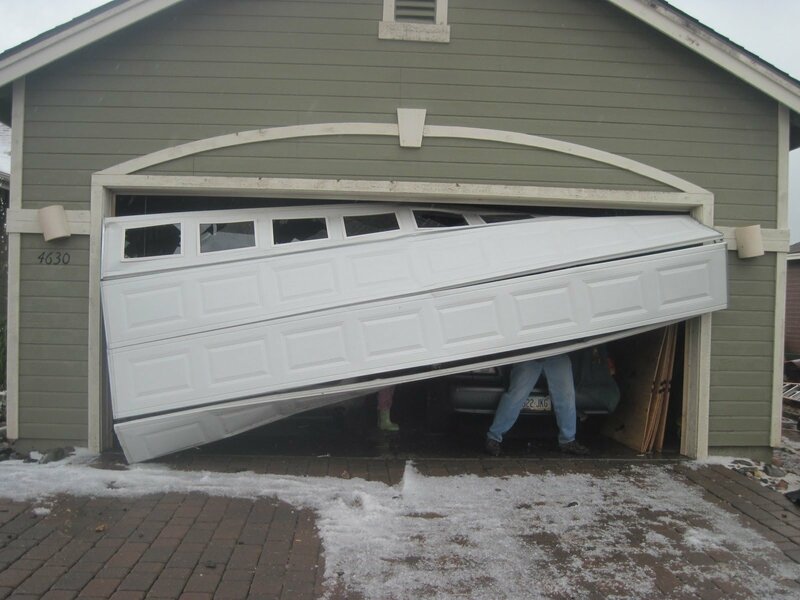 Making sure it is sitting correctly on track is the only thing that keeps a heavy garage door from completely falling on top of anything or anyone below it. If there are any signs of a gap between the rollers and the tracking rail it means the door is out of alignment and is potentially dangerous to keep on using. This situation would be a good time to call a professional. Door springs have a limited lifespan based on cycles of use. 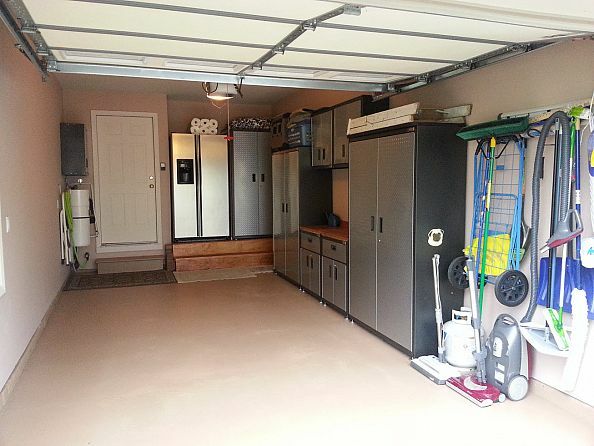 Each time you open and close your garage door you have completed one cycle. A 10,000-cycle torsion spring will have an approximate lifespan of seven years. A clear sign that there is something wrong with your garage door spring is if you hear a thunderous bang in your garage. Door springs are under an enormous amount of pressure, so when they snap, it’s easy to hear it. Garage doors can have one or two springs, depending on the model. A door with two springs can still open, but the motor will labor harder to do its job. Door springs are very dangerous to try to fix on your own. One should always hire a licensed and bonded professional to work on garage door springs. The bottom line is not to wait until something is broken. It’s so important to have thorough annual inspections and maintenance before you end up spending more on costly repairs for faulty garage door problems. 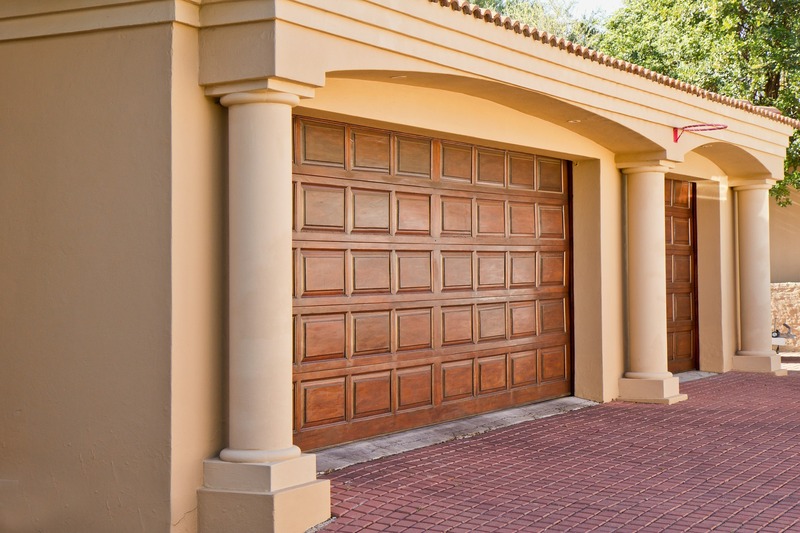 Are you having trouble with your rolling gate or garage? 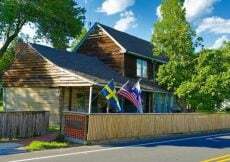 Get in touch with New York Gates. They provide gate repair and installation in all the 5 boroughs of NYC. 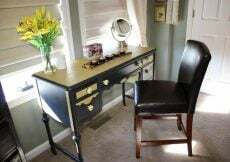 Be sure to read Transform And Organize Your Garage With Designer Cabinets! And as always, thanks so much for stopping by! 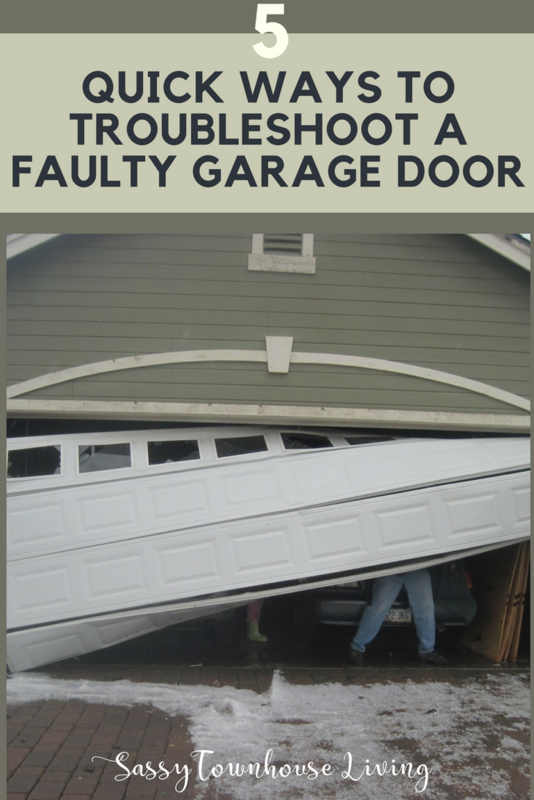 If you like this post, 5 Quick Ways to Troubleshoot A Faulty Garage Door, subscribe via email below and never miss a post again! A broom handle accidentally fell into the track and when the door went down, it slightly bent the door so now it cannot go up and down unless we do it manually. Oh my goodness. And that’s an expensive repair I’m sure. We had our springs break and that costs us like $300 to fix. Now, we do spot checks to make sure everything looks ok. 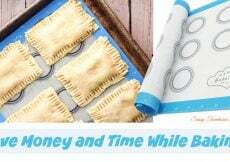 When you own a home, it’s always hidden expenses like garage repairs that throw you for a loop!